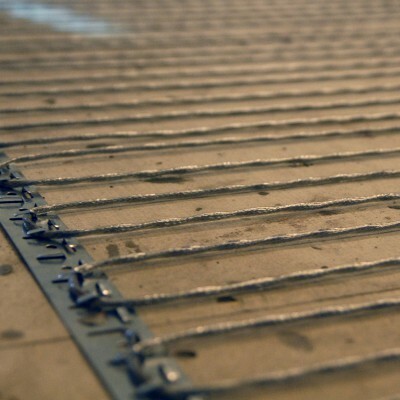 Warmwire floor heating cable is manufactured in Springfield, Montana by Watts Radiant. 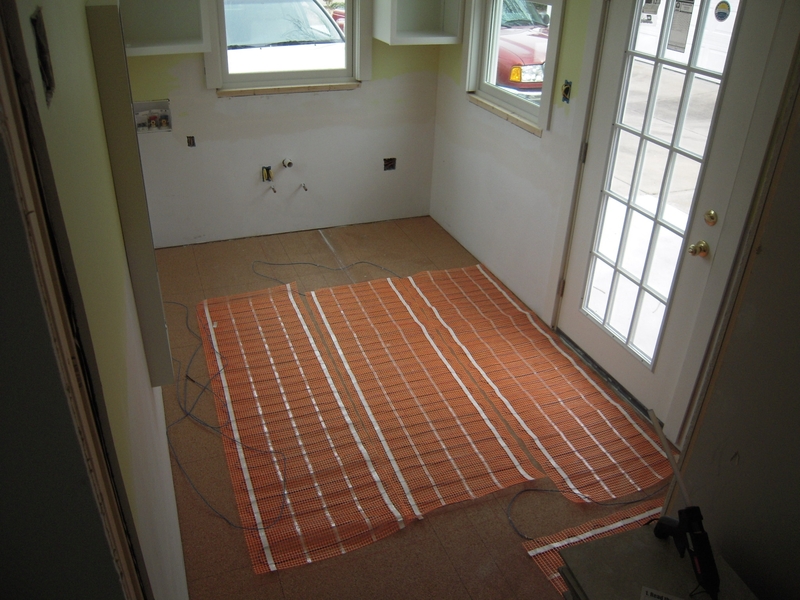 Warmwire is one of the few companies that specialize in Radiant Floor Heat Systems that are still being produced locally in the United States. One of the greatest aspects of Warmwire that differentiates it from its competitors is that even though Warmwire is very thin for its low profile installations, it creates the same comfortable warm feeling found in bulkier solutions. Warmwire emits zero EMF (Electro Magnetic Field) and is an extremely safe product to be used in any application you might have for it. The independently tested EMF exposure test has proven that Warmwire achieves a near-ZERO rating for exposure and that its polyurethane covering makes it safe and suitable for even a shower floor and shower bench. 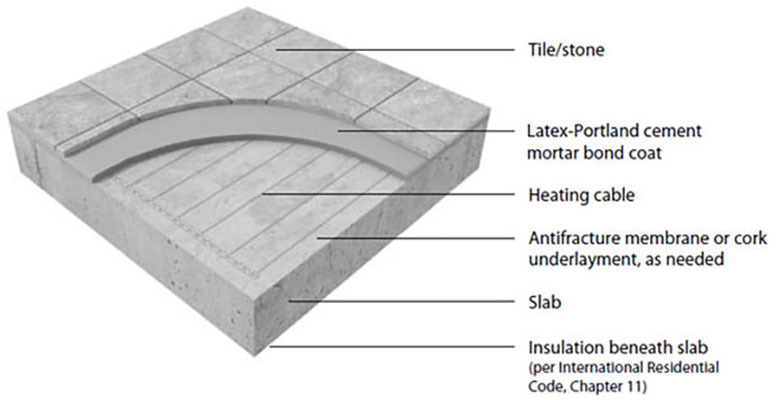 Warm-Wire is the only manufacturer whose product is suitable to be used in a wet environment such as a shower floor. 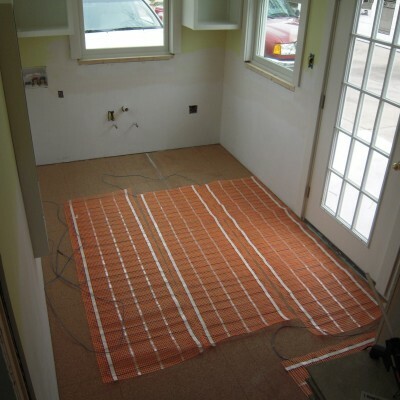 As more and more of our customers are requesting their homes to have radiant floor heating, the Suntouch system is a great way to go in order to achieve this. 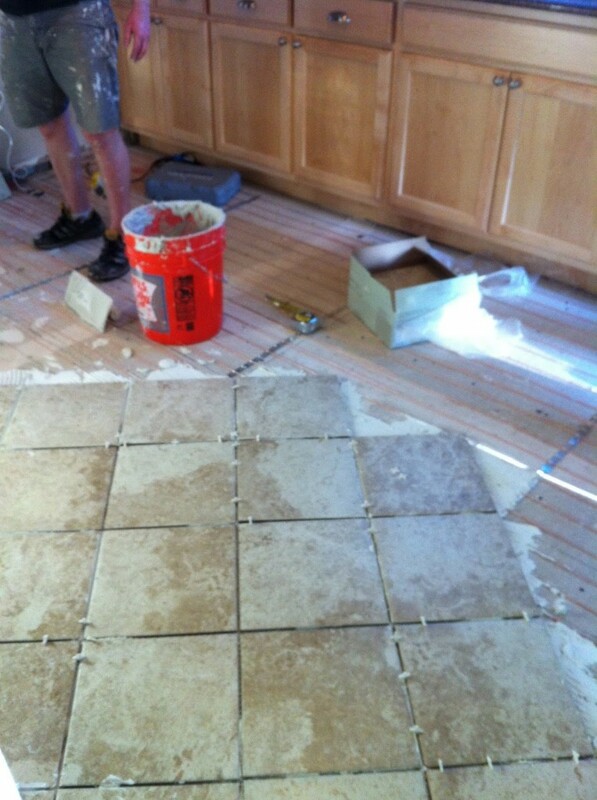 Living in Southern California does not make us exempt from wanting to have floor heating in our homes. When using marble or other natural stones in a bathroom, it is nice to have the ability of using an electric radiant floor from Suntouch on your floors and even on your shower bench. Since more and more of our customers are using the likes of Bianco Carrara Marble and Calacatta Gold Marble in their bathrooms, the heating cables offer the warmth that marble does not have. 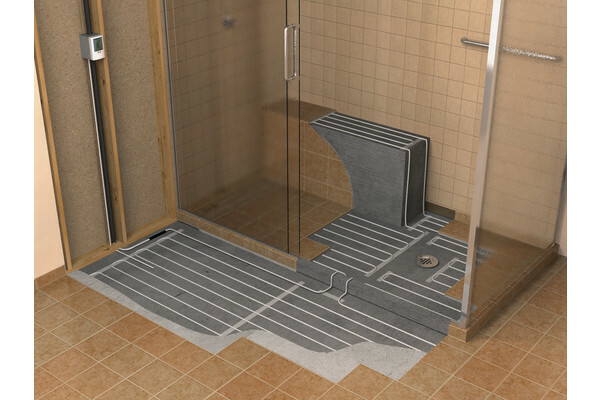 A Suntouch heated floor is not only reserved for inside the bathroom, but can also be brought into other parts of your home, such as your kitchen floor. While the bathroom is always a key component to one’s home, the kitchen has become the most trafficked and noticeably visible room in the house. We are constantly spending hours in the kitchen whether around the stove cooking, or around the island having breakfast with the family. 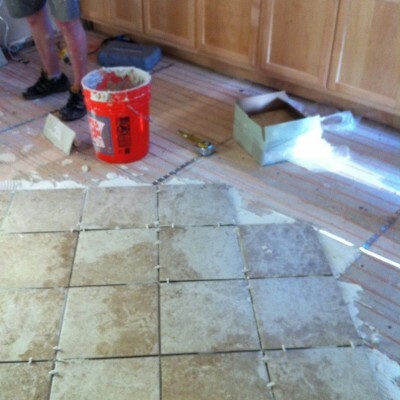 Having a heated tile floor in the kitchen is a great addition and comfort to have when one spends so much time in a room that has become the staple to one’s home. All of the electricity that is used by Warmwire is converted to useful heat which makes it 99% efficient. Generally speaking, radiant heating systems are used to warm fairly small areas and are programmable through the Suntouch thermostat to conserve energy. Radiant floor heating systems are a much more efficient way of warming a space as opposed to the traditional method of forced air which generally only works by warming the air in the desired space. One of the great benefits of Watts Suntouch and the Suntouch Warmwire is that the air temperature generated from the Warmwire kit stays lower to the ground so that there is less heat loss through windows and open doors. 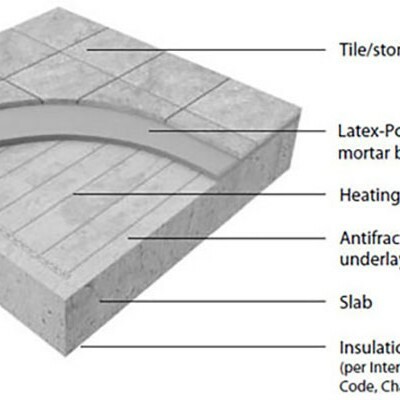 Suntouch and its heated flooring options are the perfect product to be used under all types of material; Glass Tile, Ceramic Tile, Porcelain Tile, Marble Tile, Granite Tile, Limestone, and Slate Tile. The ability to use the Suntouch floor warming system under any type of material allows for an infinite number of possibilities of using this floor heating. 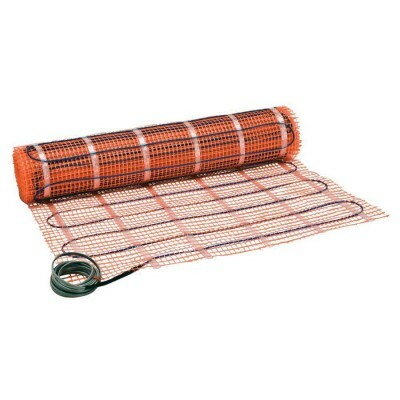 A huge benefit of the heating cables from the Suntouch floor warming company is that you can apply WarmWire to the existing floor and pour self-leveler on top and then apply your finished floor. 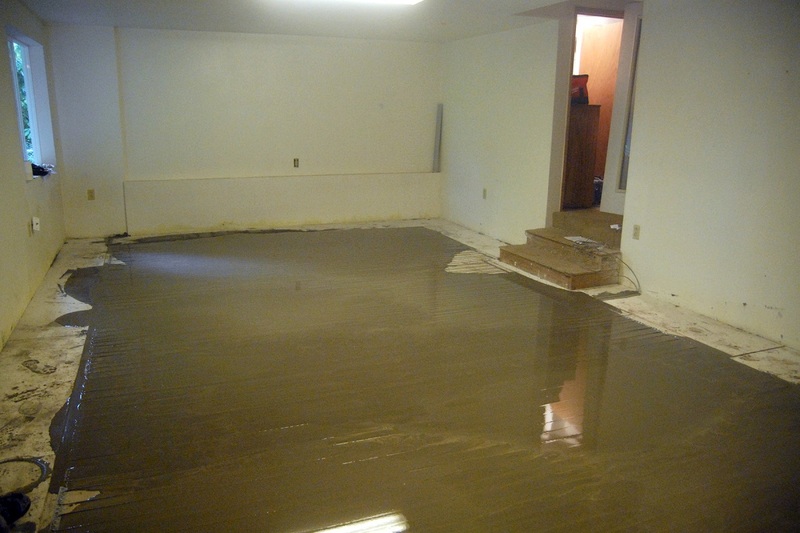 This is a huge feat because it allows for the possibility of using a heated floor system on your floor even if it is out of level, simply by using a recommended self-leveling system. Watts Radiant offers a great deal of support when it comes to their products and is always looking to help the end user find a solution. 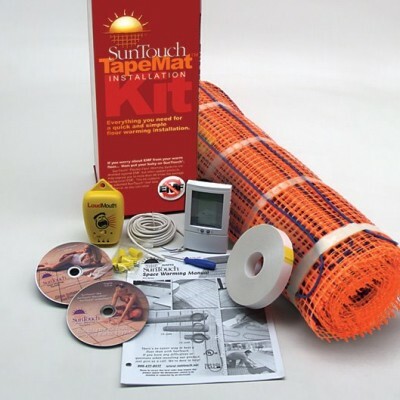 Warmwire offers two different solutions when it comes to radiant heat for your home; Suntouch Mat, or Warmwire Complete Kits. Suntouch Mats are the perfect solution to wanting to warm your floor without having to replace your existing floor coverings. If you have access under your floor, all you need to do is simply staple your Suntouch Mat between your joists and you’re set. 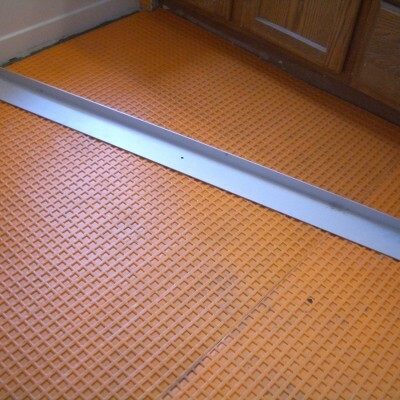 The manufactured underfloor mats are available in a variety of widths and lengths and can be combined with other mats to heat any type of room. The mats are available in both 120V and 240V and can heat a room as small as a closet all the way to a large master bathroom. 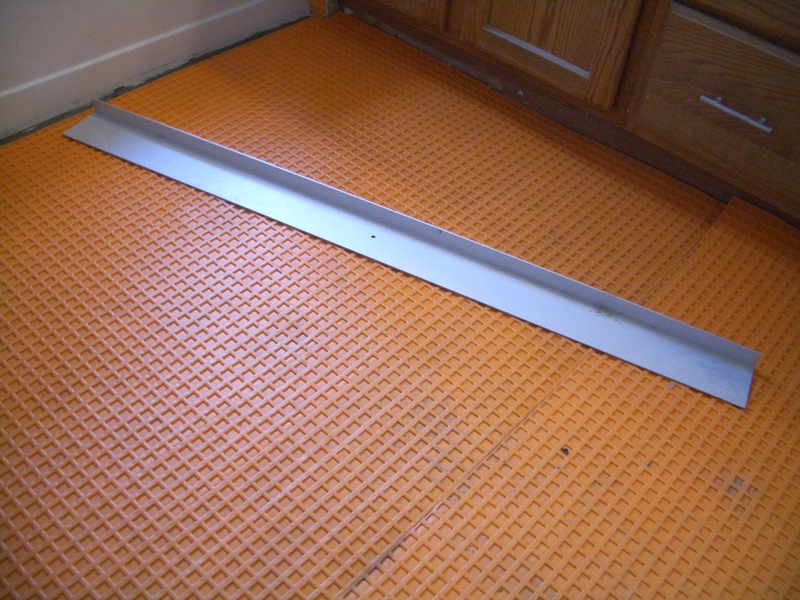 The Underfloor Mat is the perfect solution for someone who is remodeling their home and does not want to rip out their existing floors. 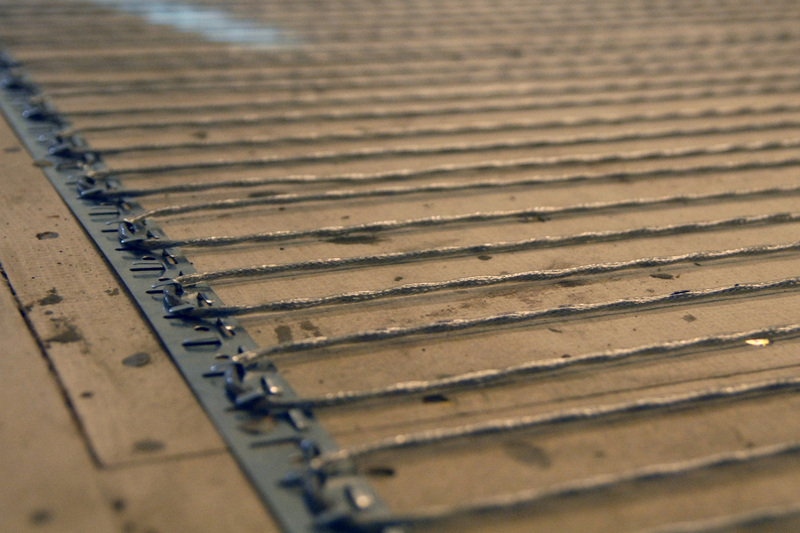 The Warmwire Cable is an extremely simple and economical way to warm your floors and generate heats for years to come. The Warmwire Kit is available in a multitude of sizes in both the 120Volt and the 240Volt Warmwire Kits. Each Warmwire Kit contains the Warmwire Spool, Sunstat Pro Thermostat, Cablestrap, Double-Sided Tape, Loudmouth Installation Monitor, and a Bi-Lingual Installation Manual. The availability of such a variety of sizes for the Warmwire kits makes this a perfect fit for any size room you may have. Warmwire even offers three different spacing options; 2” on center for 15watts per sf, 2.5” on center to deliver 12watts for sf, and 3” on center to deliver 10watts per sf. The 2.5” on center is perfect for bathrooms, kitchens and living rooms while the 3” on center is perfect for a low heat loss application such as a hallway. 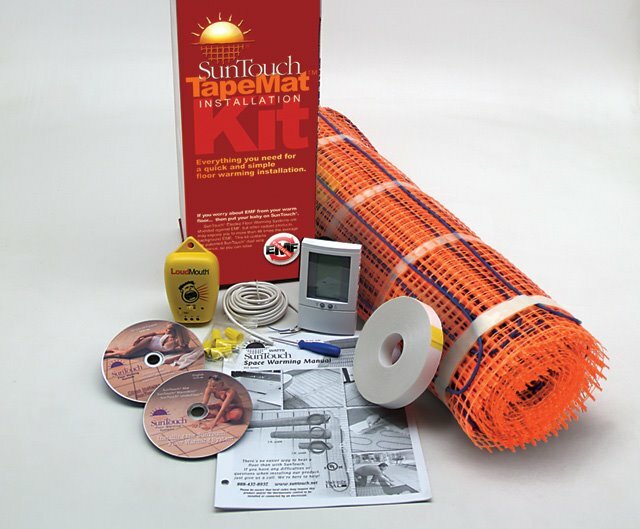 The availability of Suntouch Kits in sizes as small as 10sf and as large as 150sf make this the ultimate convenience when it comes to radiant heating for your home. 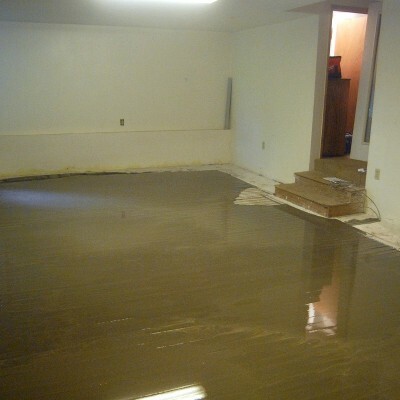 As you can see, Suntouch Floor has become a viable option for almost any application you may have for it in your home. The different options vary in that the Warmwire Cable that can be weaved back and forth to fit your specific room size to the Warmwire Kit which comes pre-packaged with all the necessary tools and in a popular room sizes. 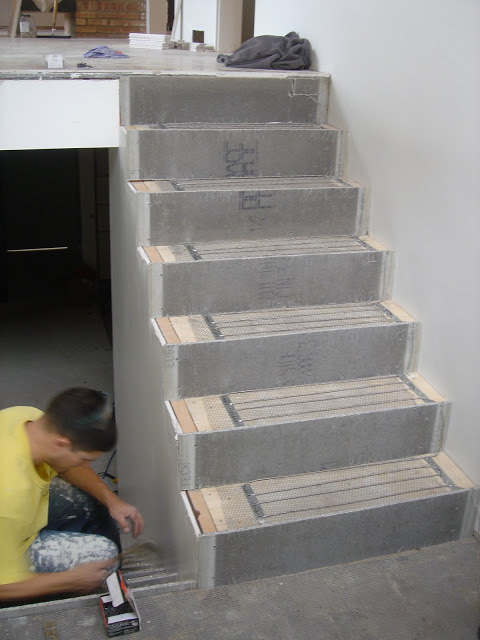 It is very important to always speak with your contractor or installer when it comes to a heated flooring option to make sure that it is suitable for your home and your desired application. 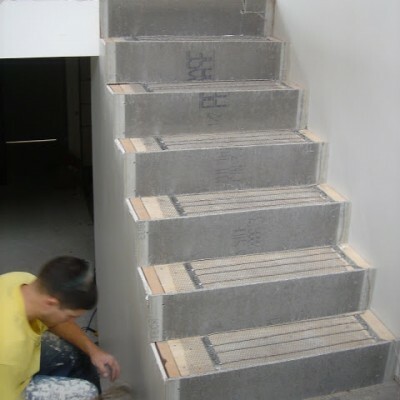 Many times the Watts Radiant products can be retrofitted to work in your bathroom or kitchen by knowing the proper installation techniques or by understanding that an out of level floor can still be suitable for Warmwire once a Self-Leveler has been applied. 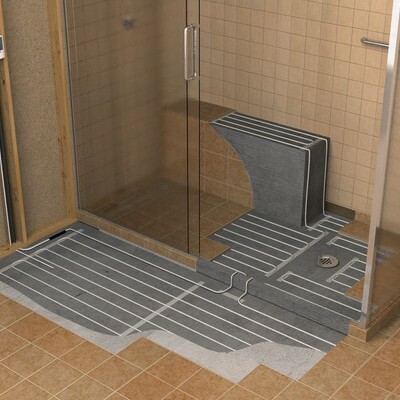 Warmwire is the only manufacturer who offers an approved radiant heating system that can be used inside the shower on not only the floor but also the shower bench. This is a great benefit to offer our customers because more and more contractors and tile installers are using a marble or quartz bench inside the shower and there is no better way to warm it up than with a Suntouch system. Please make sure to visit our Award Winning showroom with any questions you may have in regards to Warm-Wire or any of the Radiant Heating Systems that they offer, we stock a large variety of Suntouch products in our store in both Warmwire and Warmwire Kits.